Are You Missing out on a Key Pilates Ingredient? Is your Pilates repertoire incomplete? Don’t forget to incorporate the powerful and valuable Pilates mat work into your workout. Read here to learn why you should be sure to incorporate mat exercises into your routine and to discover some new, fun ideas we are bringing to our already highly rated classes at Pilates Studio City! Summer Bazaar & Health Day 2013 at Pilates Studio City! 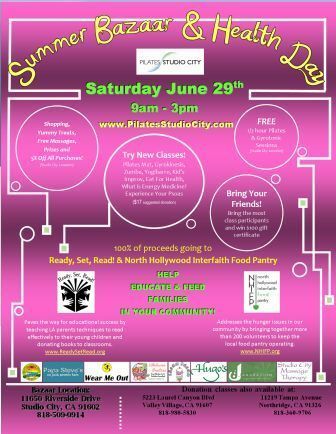 Join us on June 29th, 2013 for a fun filled day of classes, lectures, massages, shopping and more while helping to raise funds for your local community! Lora, Nichole and Julie invite you to join them in the Zoe Rescue Walk! How can you choose the ideal Pilates studio for you and your body? Put these tips to practice to find the high quality Pilates studio that best fits your needs. Finding and enjoying the benefits of walking while raising money in the fight against breast cancer. Zumba is an exciting cardio dance class that fuses salsa, meringue and other sultry Latin dance moves. In addition to the Latin music that is the core of Zumba, it incorporates some hip-hop, belly dancing and other fancy (but simple to follow) moves! Enjoy working out to fun and energetic dance music that will make you forget that you’re working out at all! Try our Belly Dance Class for Free! Take our Argentine Tango Class for Free! Kicking off our series of free specially classes is Argentine Tango April 14th! Franklin Method Coming in May! Franklin Method is a provocative and innovative study for everyone! 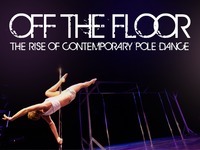 It is the only movement education that introduces: focus on all applications of imagery, education of function based on evolutionary design, simplification of the complex to uncover the essence, an emphasis on learning by doing . . . AND–IT IS FUN!